With a little research, we learned that it could be produced as a coffee table quality book from your local Costco photo service. A test copy was made for evaluation, and Wow! take a look! 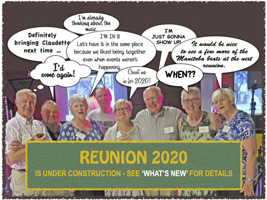 Reunion 2020 will be open to all decades of Shilobrats, call your siblings and school friends to give them a "heads up", then check out the Reunion 2020 website for on-going information and the latest news. Indicate your interest in attending and see who else may be there. This is not a commitment to attend, just an interest level to guide planning. When it works, keep it going! The third voyage of the Shilobrats mini-reunion in Kingston is in planning stages for this summer. This is more than just getting together as Shilobrats, there is an adventure added as well. 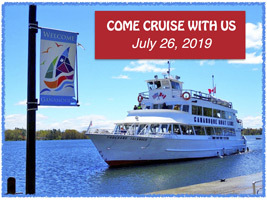 To see how much fun this has been, re-visit Special Edition albums Kingston Reunion 2013 and Kingston Sea Cruise 2017. The date has changed to Friday, July 26, 2019, a week before the civic holiday. Watch this space and see the Guestbook for update and new information. If you weren't there, you will feel like you were. If you were there, you will feel it all over again! 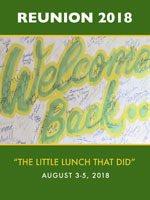 ShiloBrats latest Special Edition re-lives the events, activities, people and behind the scenes stories of Reunion 2018. Be there! was the ad phrase, and Shilobrats came from Vancouver Island B.C., from Grand Manan Island N.B. and from everywhere in between to be there! First major Shilobrat Reunion since 2005 and maybe the last? Not a chance - 'this was just the warm-up for the next big one' - See you there!2020. A Special Edition about the Reunion with photos and stories has been prepared and posted. 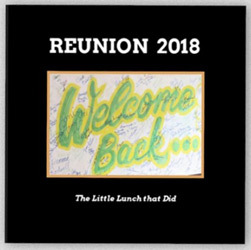 Also, you can relive the highlights or see what you missed right here in the Reunion 2018 Slideshow. Shilo was a special place for many of us in our early years, and for some, Shilo is a special place because you were born there, or in Brandon to parents posted in Shilo. 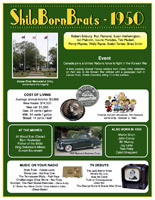 ShiloBornBrats has been created to give recognition to our home grown brat pack by assembling a page of trivia for each year we have a ShiloBornBrat name for. If you or a brother or sister were born when your family lived in Shilo, and your name does not appear in that year, please contact ShiloBrats to be included, your name and year will be added.